Dual Power Technology delivers year round lighting. The product has an intelligent auto 8 hour on/off timer. 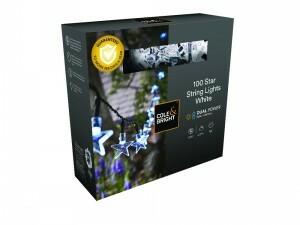 The proudct can be used in various ways - choose constant, flashing or twinkle settings. Solar and battery power - rechargeable and alkaline batteries included. 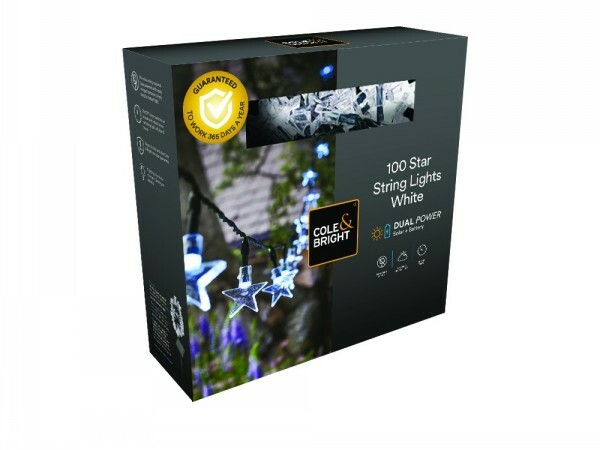 The product features 100 white LEDs.